Well, the reason for this slightly incorrect snippet, is that it fits like a glove – or armcast if you will – for Jamie Vardy joining Arsenal. Last season, his exploits for Leicester were well documented. 24 goals, a constant plague upon each defence he faced. An interminable presence of energy and defenders had no answer to him. It is quite easy to dismiss his achievements, but the underlying fact is that each team who faced him made special arrangements, or tailored their instructions, to face off against the England striker. As of yesterday, a simple rumour – the type of which Gooners are faced with on a daily basis and pay no heed to – soon sparked into life when it became evident that the transfer oracle himself, the beacon of virtue, BBC Sport’s David Ornstein, was behind the story. From humble beginnings this whisper became a mighty roar. Social networks were awash with Vardy talk. Everyone was hungry for details. Newspapers soon latched on and the story was disseminated. The real clincher though, was at Arsenal’s official Question and Answer event last night. Goonersphere’s own @GreeneBantern was present on the night, and he saw and heard the club’s own Chief Executive Ivan Gazidis, confirm the story. Have a look at the @Goonersphere twitter account which gives you all you need to know from the event. So, we now have the truth. Arsenal have officially approached Leicester City, and activated the release clause in Jamie Vardy’s contract, believed to be in the region of £15-20million. This grants us the chance to sit down and thrash out personal terms with the WKD guzzling hitman. Is he a fit for our club though? Arsenal are one of the rare instances where the club, in its present incarnation, has been hewn from its traditions and history. ‘The Arsenal Way’ is far more than just a phrase, for the players, it is a way of life. Jamie Vardy has courted controversy, and would have to adapt to ensure he fitted in at the club. His outward persona, and reputation, are at odds with our club, but it would not be the first time we have had a player who wasn’t exactly squeaky clean. If he can change, then there shouldn’t be a question on whether he would slot in seamlessly on the pitch. Our team last season cried out for a player of Vardy’s ilk, his non-stop movement and incisive runs, is manna from heaven for the vision of Mesut Ozil. His pace is just another reason why he has the tools necessary to succeed at The Emirates. This is at odds with Wenger’s previous tack in regards to transfers, but this is a refreshing change from our manager. With Granit Xhaka already at the club, it shows he wants to address the weaknesses in our side now, rather than wait for players to bloom. Some will show dismay that we haven’t gone for Pierre-Emerick Aubamayang, but he was never going to sign for us. His hearts desire is Real Madrid. With this move for Jamie Vardy, we have gone in for a player who has proved his credentials in the very League we aim to compete for. It is a signal that we are finally willing to concede, that our squad needed a boost. 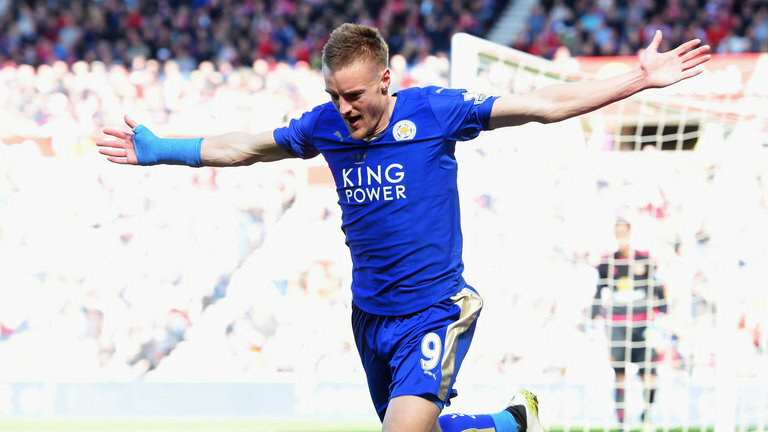 Jamie Vardy isn’t the player we want right now, but he is the player we need.